For the next academic year 2016/2017 no clerkship or research elective is possible. Please contact your local NPHC co-ordinator or International Office for more information. Why study at Medical University of Vienna? The Department of General Practice and Family Medicine was founded in 2001 and is one of five institutions which belong to the Centre for Public Health at the Medical University of Vienna. The Department has initiated a nationwide network of GP practices inAustriawhich participate and cooperate in various teaching and research activities. This initiative aims at improving information exchange, implementation and translation of research results into practice reality, thereby bridging the gap between the tertiary and primary health care sector. Current research areas include analysis of morbidity at the population level, educational research, health services research, antibiotic resistance in primary care, diagnostic tools useful in primary care, international and migrant health, suicide research and ethical issues in health care. The MedicalUniversity inVienna has an integrated curriculum. Knowledge, skills and attitudes are taught focussing primarily on medical topics and themes (“blocks”) rather than on medical disciplines. General Practice participates in these block elements throughout the six years of basical medical education. In addition, General Practice can be chosen as an elective within research oriented “special study modules”, which prepare for the diploma/thesis required from each student. Further, a four-week clerkship in primary care is obligatory. Finally, during the fifth and the sixth year an 8-week elective can be spent in General Practice, too. For the clerkship and for any situation, which involves direct patient contact the German language would be essential. However, research electives can be done in English. German languages courses are available at the University level and on private initiatives. Costs for accommodation have to be expected to be around 150 € per month in a students home. Cheap tickets for the train and bus-lines can be purchased. 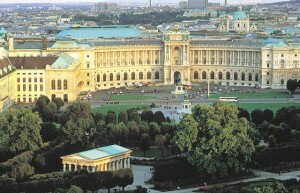 During your stay, the University campus or the General Hospital in Vienna offer complete meals for about 5 €. Designated applicants should contact us as early as possible, because accommodation will be organized by the Austrian Exchange Service and is difficult to find. Therefore, notice should be given half a year in advance.